30 Day Challenge – Day 12 – Serious eLearning, Seriously? – We do not assume that a learning intervention is always the best means to helping people perform better. – When learning is required, we do not assume that elearning is the only (or the best) solution. 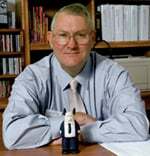 – We will couple the skills we are developing to the goals of organizations, individuals, or both. – We will help our learners achieve performance excellence; enabling them to have improved abilities, skills, confidence, and readiness to perform. – We will provide learners sufficient levels of realistic practice; for example, simulations, scenario-based decision making, case-based evaluations, and authentic exercises. – We will provide learners with sufficient experience in making decisions in authentic contexts. – We will provide learners with guidance and feedback to correct their misconceptions, reinforce their comprehension, and build effective performance skills. – When providing performance feedback during learning, we will provide learners with a sense of the real-world consequences. We can and should utilize elearning’s capability to create learning environments that are flexible or adaptive to learner needs. – We will provide learners with learning experiences that are relevant to their current goals and/or that motivate them to engage deeply in the process of learning. – We will create learning experiences that have long-term impact–well beyond the end of instructional events–to times when the learning is needed for performance. – We will use elearning’s unique interactive capabilities to support reflection, application, rehearsal, elaboration, contextualization, debate, evaluation, synthesization, et cetera—not just in navigation, page turning, rollovers, and information search. – We will support instruction with the appropriate mix of after-training follow-through, providing learning events that: reinforce key learning points, marshal supervisory and management support for learning application, and create mechanisms that enable further on-the-job learning. – When given training requests, we will determine whether training is likely to produce benefits and whether other factors should be targeted for improvement. We will also endeavor to be proactive in assessing organizational performance factors–not waiting for requests from organizational stakeholders. – We will consider providing job aids, checklists, wizards, sidekicks, planners, and other performance support tools in addition to–and as a potential replacement for–standard elearning interactions. Ideally, an appropriate time after the learning (for example, two to six weeks later), we will measure whether the learner has applied the learning, the level of success, the success factors and obstacles encountered, and the level of supervisor support where warranted. At a minimum, during the learning, we will measure both learner comprehension and decision-making ability. Ideally, we would also measure these at least a week after the learning. When we measure learners’ perceptions, we will measure their perceptions of the following: their ability to apply what they’ve learned, their level of motivation, and the support they will receive in implementing the learning. – We won’t assume that our first pass is right, but we will evaluate and refine until we have achieved our design goals. – We will prepare learners during the elearning event to be motivated to apply what they’ve learned, inoculated against obstacles, and prepared to deal with specific situations. – We believe that performance should be based upon conceptual models to guide decisions, and that such models should be presented, linked to steps in examples, practiced with, and used in feedback. – We will present examples and counterexamples, together with the underlying thinking. – Failure is an option. We will, where appropriate, let learners make mistakes so they can learn from them. In addition, where appropriate, we will model mistake-making and mistake-fixing. – We will acknowledge and leverage the knowledge and skills learners bring to the learning environment through their past experience and individual contexts. This manifesto seems geared towards corporate elearning more than online learning in higher education, yet there are portions in here with which I agree. 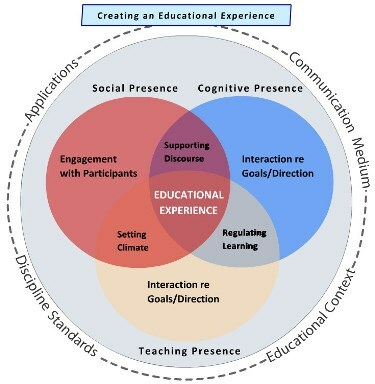 As the graphic above suggests, too many have attempted to replicate the large lecture hall experience with the online experience, leading to course designs that are content focused, efficient for the faculty, attendence-driven (read “seat time”), focused on knowledge delivery rather than authentic learning, and one-size fits all. 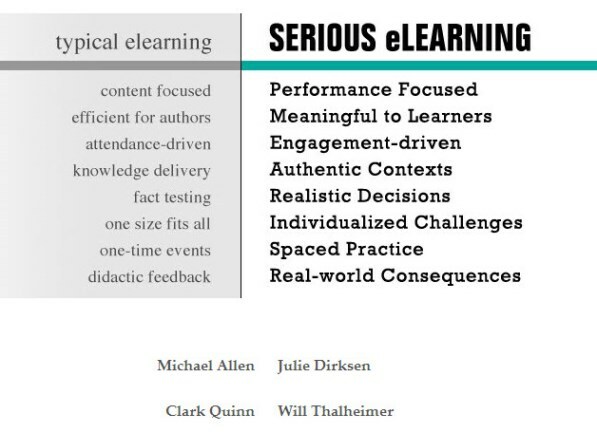 So I agree with the manifesto’s call for making elearning meaningful for learners, authentic, relevant, and individualized. In many ways, these “principles” align with Chickering and Gamson’s Seven Principles of Good Practice. Where I would differ from these instigators is an underlying assumption that “the learner” is isolated. There is nothing about building a community of practice within this manifesto. If the web is open, social and participatory…and if the future for our students requires cooperation and collaboration, then it would seem that aspects of a community of inquiry should appear in this manifesto. Day 12 – How can I as faculty make myself unnecessary? The supporting principal for making eLearning valuable are the same my district applies to professional development and staff evaluation. These steps should be universal for any organization, not just in eLearning situations.